Who would have thought that a DIY water fountain would be so easy to make? Find out just how easy it is to make your own water fountain with the photo tutorial showing the steps we took. 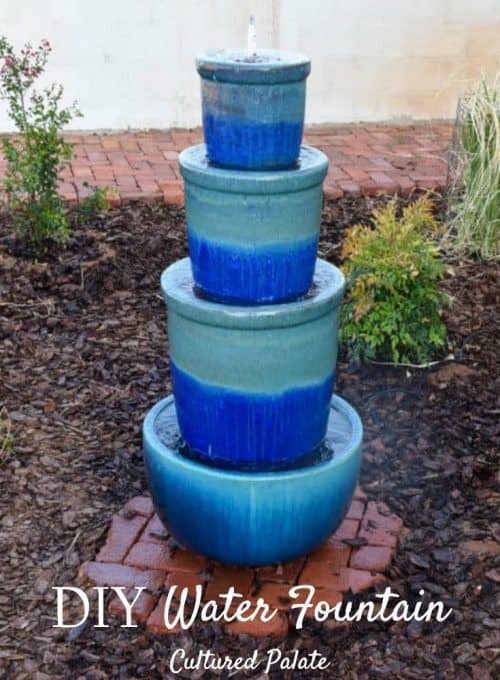 If you remember, I posted about our new DIY brick patio and I promised to tell you how to make your own water fountain – now is the time! Before I get into the nitty gritty, I want to assure you that it is very easy! I knew that for our new patio, I really, really wanted a fountain. But, when I began looking at the prices, well, let’s just say, my frugal side kicked in! Enter the DIY water fountain. One of my addictions is flower pots. I could literally spend a fortune on all the beautiful pots available! Then again, I do have a frugal side that kicks in the nick of time! 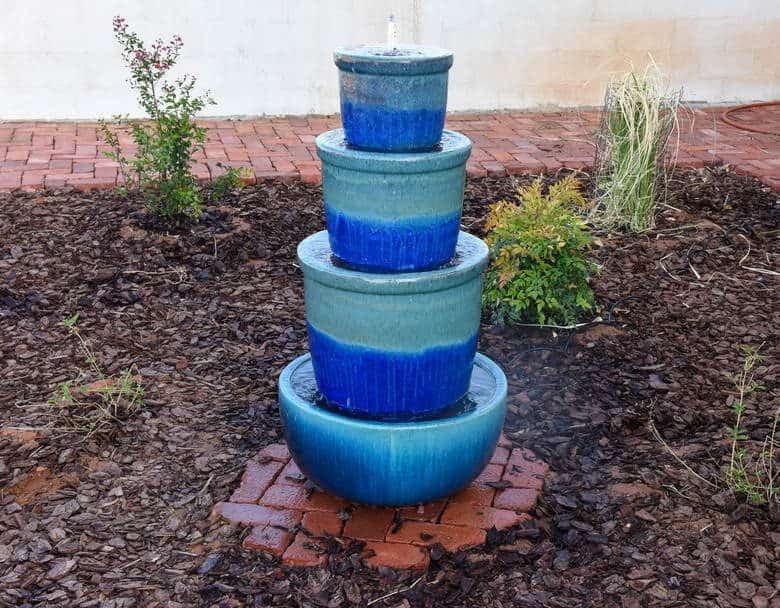 John had suggested using a set of three pots for a fountain and I loved the idea! Then, when I searched on the internet to find out how to make your own water fountain, there were so many inspirational ideas, I decided I had to go shopping. We have a Coyote Candle Company nearby that has a million and one pots – I was in heaven! 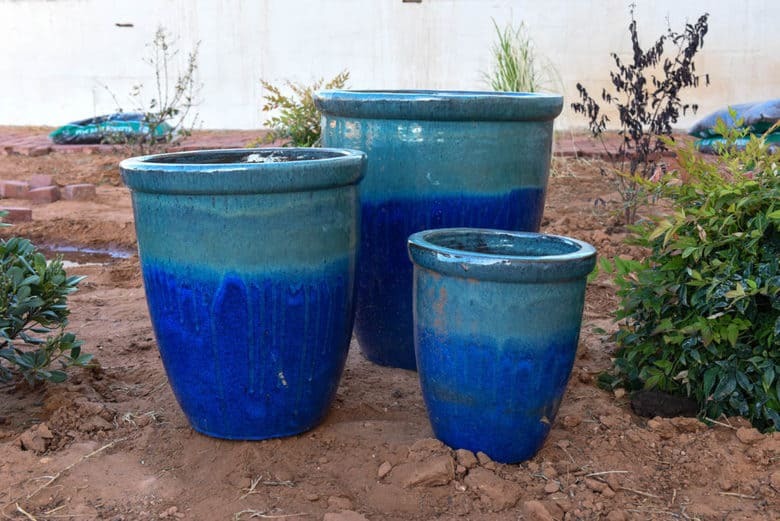 Needless to say, the cost of this project is dependent upon the price of your pots! Mine were under $200 which is nothing compared to water fountains I looked at! great stuff, caulk or we used roofing putty left over from our metal roof which was free! 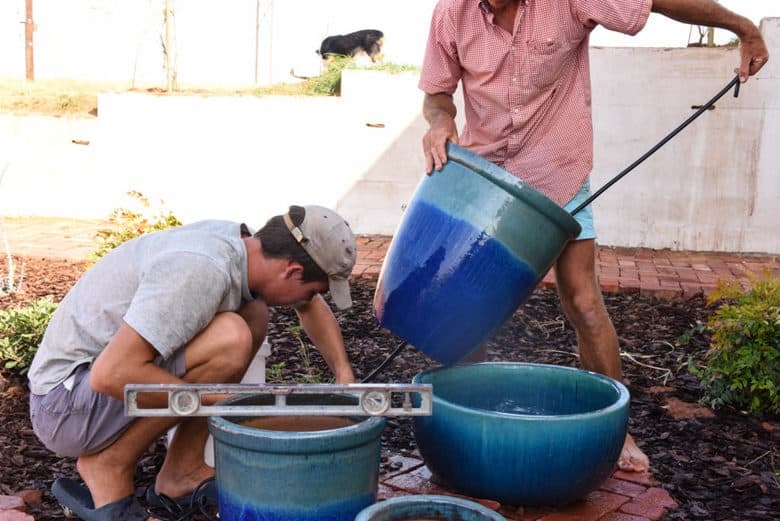 Because our pots were rather large and would be very heavy when filled with water, we wanted a firm base. So, we made a brick base which was set in concrete. First the desired area was dug out. Then wire mesh was laid in the base and finally concrete was poured over the wire. Bricks were then laid in the herringbone pattern used for the patio and leveled. If you remember, we were able to get quite a lot of bricks for free. The small town near us pulled up some brick roads and if you loaded them and picked them up, they were yours free! 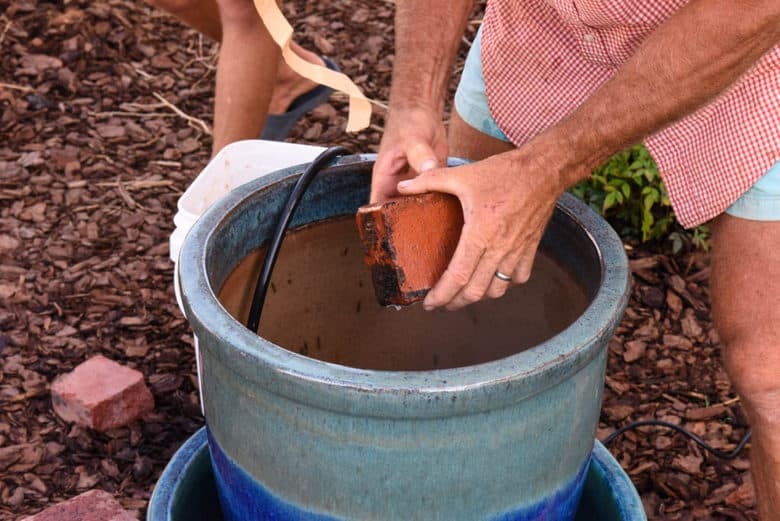 Once dry, the pump tubing was fed through the holes in the bottom of the largest pot. Be sure to have enough tubing to go through all the pots. 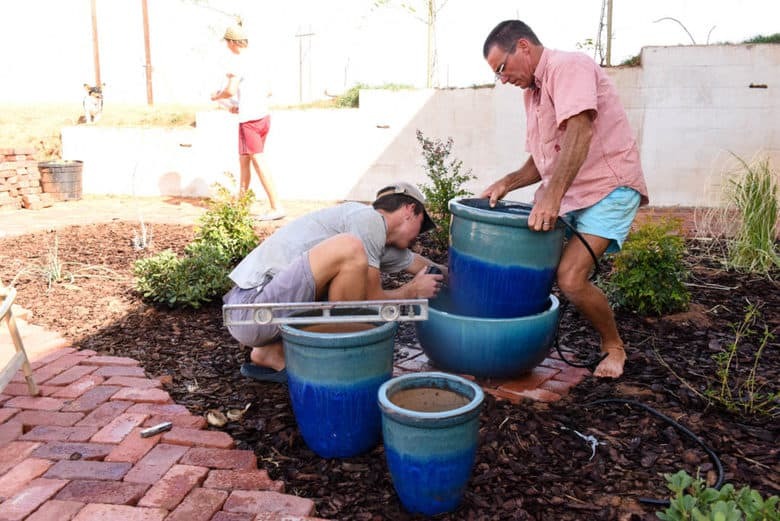 We stacked them together adjusting the height of each pot with bricks until we were pleased. To seal the hole in the bottom around the tubing so your water doesn’t leak out, you can use great stuff which is an expandable foam, caulk or putty. Because we had the leftover roofing putty from our roof, that is what we used. 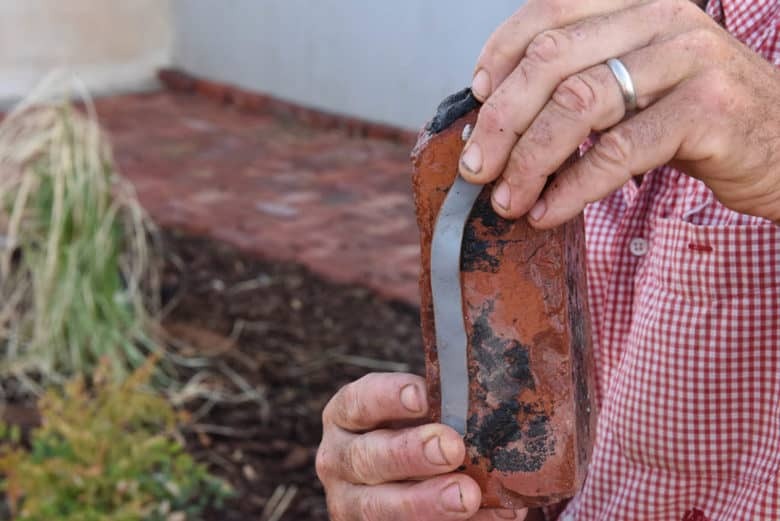 John put the putty on the bottom of the bricks and around the hole. Once the tubing was secured at the right length, the bricks were put into place. Once the first pot is in place,the pump is added – it sits in the bottom basin. The pump tubing is fed through the next pot which is stacked inside the previous. Once all pots are in place and at the right height, plug in the pump and enjoy! We are really enjoying our patio and fountain – especially in the evening. Once the sun is over the house, the patio is in the shade and we sit out relaxing after a hard day’s vineyard/garden/whatever work! Have you ever made a water fountain? 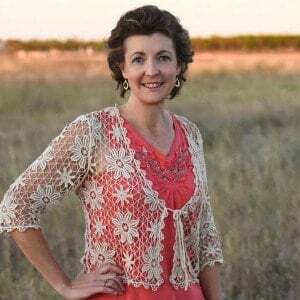 I would love to hear about it or other DIY yard projects – leave a comment! 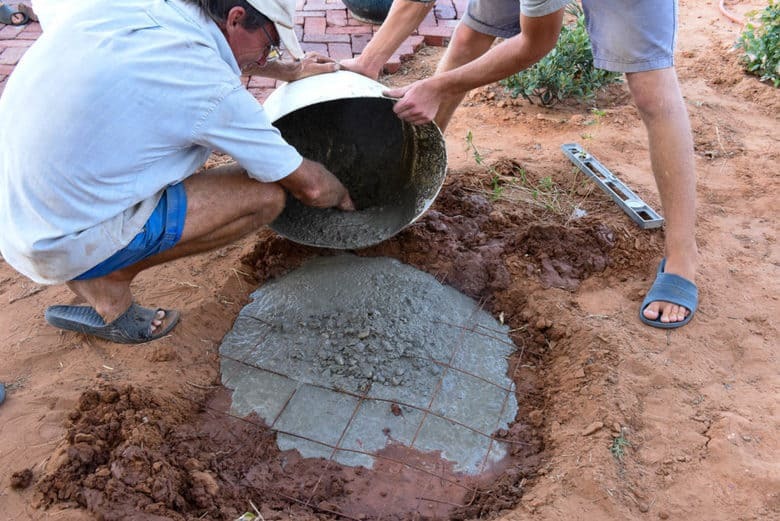 Wondering how to make your own patio? 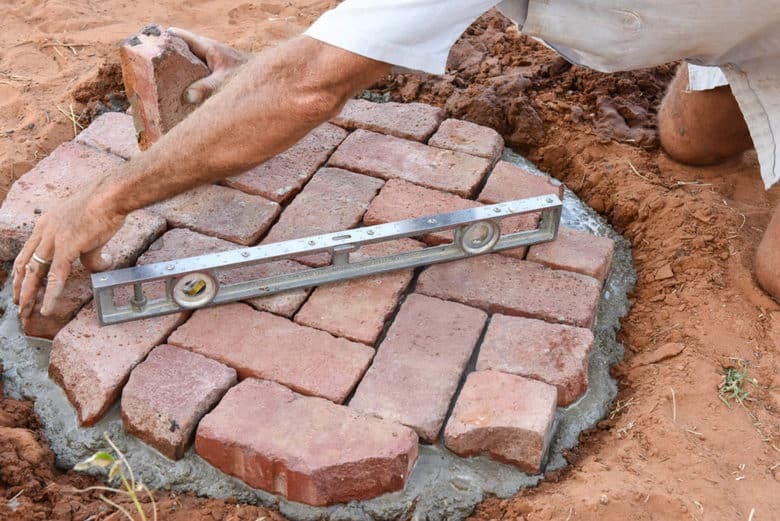 Be sure to read DIY Brick Patio – How to Make Your Own! Good idea about using a brick base for those heavy vases. I love the look of this. I am not a handy person at all. I need to look around and see if I can find a similar fountain for me to build. Thanks, Suzan. With all my helpers, I attempt things that I probably would not have otherwise. John, is very innovative and is quick to try things. But, that being said, I think I could have done this on my own if I had someone to help hold the heavy pots.